Aireon LLC has signed a Memorandum of Agreement (MOA) with two leading Russian organizations, JSC AZIMUT and JSC INFOCOM-Avia, to evaluate the benefits of deploying space-based Automatic Dependent Surveillance-Broadcast (ADS-B) in Russian Federation airspace. 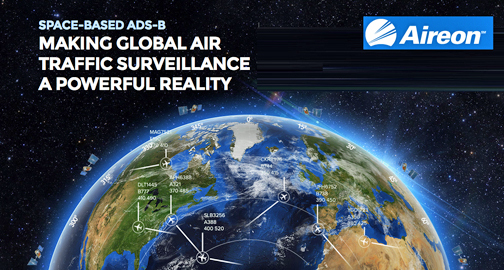 Analyses will be performed on how space-based ADS-B will enhance air traffic monitoring, support air traffic management and improve airline and airport operations. 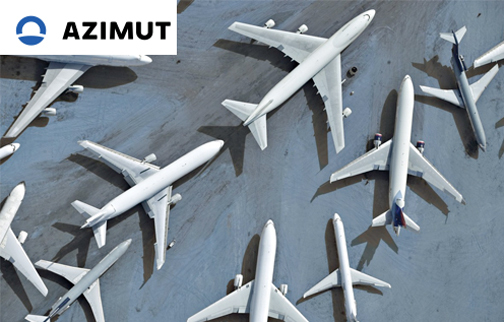 AZIMUT is a leading provider of radio-communication, navigation, landing, surveillance and air traffic management automation to The State Air Traffic Management Corporation of the Russian Federation (State ATM Corporation), Russia’s Air Navigation Service Provider (ANSP) and international markets. INFOCOM-Avia is the designated operator of aviation information services in Russia. Aireon’s space-based ADS-B service will be operational in 2018, shortly after the completion of the Iridium NEXT constellation. The first Iridium NEXT launch is scheduled for September 12, 2016, when the company will launch 10 satellites using a SpaceX Falcon 9 rocket out of the Vandenberg Air Force Base in California. Aireon’s launch customers include NAV CANADA, the Irish Aviation Authority (IAA), Naviair, ENAV, NATS, South Africa’s Air Traffic and Navigation Services (ATNS), Civil Aviation Authority of Singapore (CAAS) and Curacao’s DC-ANSP. Discussing the agreement, Cyriel Kronenburg, the Vice President of Aviation Services, Aireon, indicated this is an extremely important step for Aireon, as the Russian Federation’s airspace spans more than 26 million square kilometers and accounts for over 12.5 percent of the world with more than 1.4 million flights per year. This MOA with AZIMUT and INFOCOM-Avia positions space-based ADS-B to potentially be used in one of the largest airspaces in the world.